At a team meeting for Live2AgeWell I shared our previous weekend trip to Edmonds, Washington. I remarked about a fantastic dish we had ordered at Chanterelle, a local bistro. 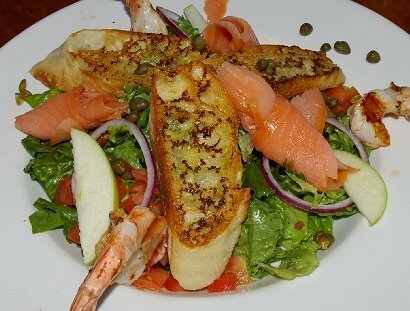 It was a seafood salad with lox, prawns, capers, red onions, green apple, and grilled bread. The salad dressing was an apple/horseradish vinaigrette. I mentioned that I had to remind Peg about the horseradish. She loves radishes, but horseradish is usually more than she can handle. She loved it. 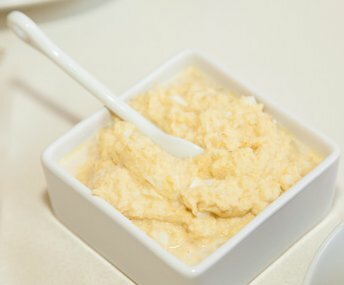 Dr. Patrick Finney from Roman Meal chimed in, "The combination of apple and horseradish reduced the effect of the horseradish." Horseradish has been making culinary news lately. At the meeting I had brought along two newspaper articles of recipes featuring chicken and horseradish. Horseradish comes from the root of the horseradish plant. Horseradish is a cruciferous vegetable. There are many good reasons to eat cruciferous vegetables. Here is what the Linus Pauling Institute has to say about cruciferous vegetables, "Like most other vegetables, cruciferous vegetables are good sources of a variety of nutrients and phytochemicals that may work synergistically to help prevent cancer. One challenge in studying the relationships between cruciferous vegetable intake and cancer risk in humans is separating the benefits of diets that are generally rich in vegetables from those that are specifically rich in cruciferous vegetables. One characteristic that sets cruciferous vegetables apart from other vegetables is their high glucosinolate content. 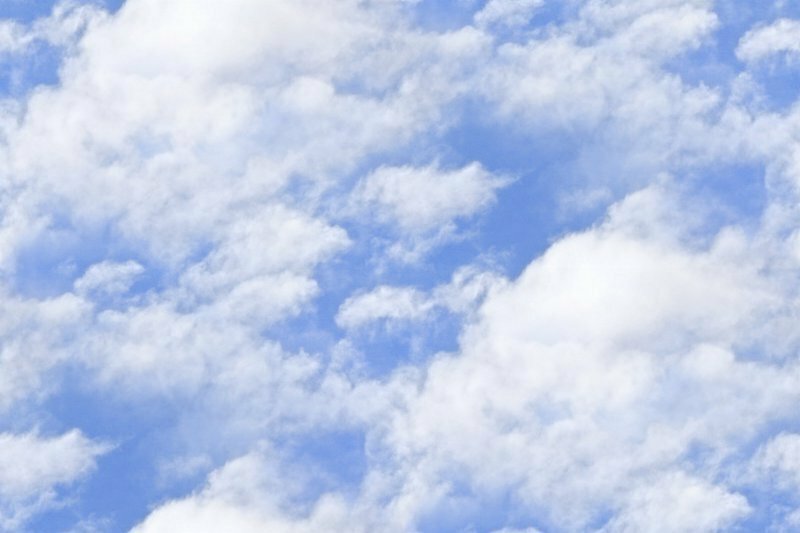 Glucosinolate hydrolysis products could help prevent cancer by enhancing the elimination of carcinogens before they can damage DNA, or by altering cell-signaling pathways in ways that help prevent normal cells from being transformed into cancerous cells." Jane Higdon, Ph.D., LPI Research Associate wrote in 2006, about "Cruciferous Vegetables and Cancer Risk." She said, "Although many organizations, including the National Cancer Institute, recommend the consumption of 5-9 servings (2 1/2-4 1/2 cups) of fruits and vegetables daily, separate recommendations for cruciferous vegetables have not been established. Much remains to be learned regarding cruciferous vegetable consumption and cancer prevention, but the results of some epidemiologic studies suggest that adults should aim for at least 5 servings (2 1/2 cups) per week of cruciferous vegetables." That all sounds good, but in reality probably no one is going to feast on horseradish or even have a single helping of the vegetable. If you've never taken a bite of the strong vegetable, here's a word of warning. It can take your breath away, make your nose run and your eyes water. Depending up on the size of the bite, pain could also enter the equation. Horseradish is usually sprinkled on food or cut with sour cream; however, combined with more bland foods it can add a definite spark. Horseradish sauce goes well with beef as well as other cruciferous vegetables like cabbage and turnip greens. 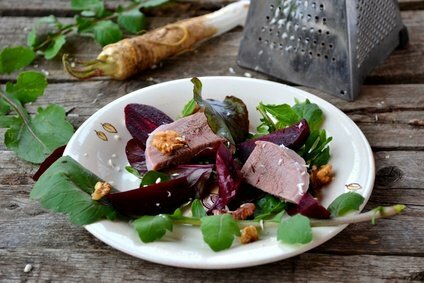 Or combine horseradish with root vegetables like beets, carrots, and parsnips for a tasty side dish. In my younger days I worked in Seattle and on my lunch break I would visit Herfy's Hamburgers. The food was okay, but what I really enjoyed was their horseradish sauce in little packets. It was diluted with some other ingredients, but it still had a little bite to it. For me it really woke up the flavor of the prepared sandwiches. 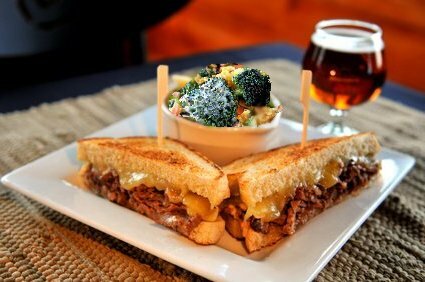 Today, a whole grain toasted cheese sandwich with roast beef and horseradish sauce is almost a perfect meal. Start with whole grain bread like that baked by Roman Meal, slices of roast beef, and white cheddar . . . or go with simply cheese and tomato with the horseradish sauce. Add a broccoli salad and some freshly grated horseradish and it almost reaches gourmet status. Horseradish isn't a whole food, but it can make whole foods really, really interesting. 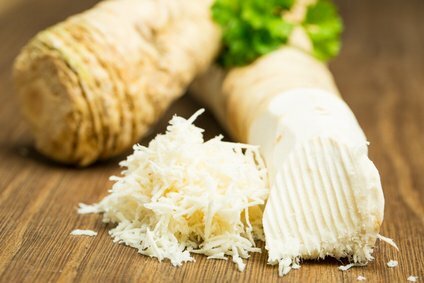 Horseradish, crucerferous vegetables, grated horseradish, horseradish nutrition, uses of horseradish, Healthy Living Article.